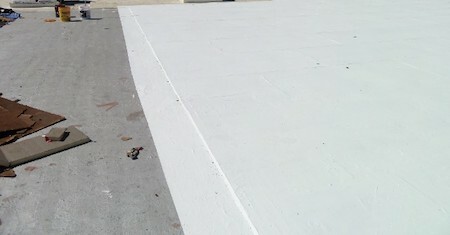 With the summer heat coming why not paint your flat roof? Summer heat and freezing weather can cause your roof to crack. Once your roof cracks it allows water to penetrate the substrate. When a roof becomes brittle and starts leaking its time to replace it. 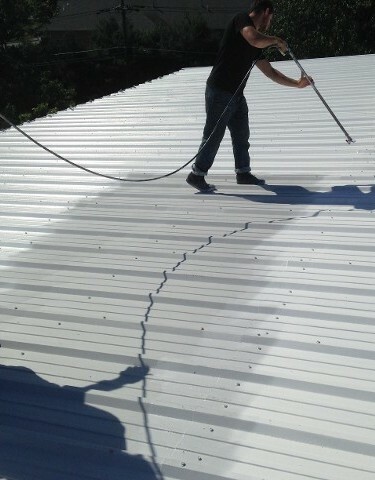 Painting your roof with an industrial grade roof coating is a great way to preserve your roof. 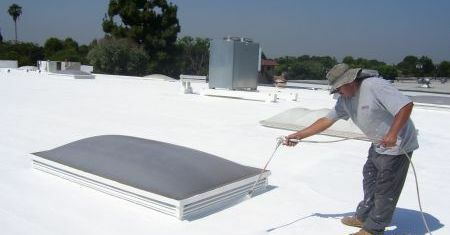 Hiring a roofer to paint your roof can cost thousands of dollars. Hire George W. Scott to paint your flat roof, mobile home roof, or metal roof. We have multiple colors to choose from. A white coating is usually used on flat roofs to keep the heat out.. We also have clear roof paints for asphalt shingle roofs to lock down the granulation and reflect the heat without changing the appearance .